DJ Warras and Tumi Vorster have been taken to the BCCSA by a listener who found their show last night offensive. Comments made by DJ Warras on his show, "5th Element" last night have not gone down very well with a 5FM listener. Ntombizamasala Hlophe wrote an open letter to the station manager Justine Cullinan on her blog after Warras referred to women as "slutbags" and "hoes" while his co-host, Tumi Vorster, allegedly giggled and encouraged his comments. "It cannot be acceptable that...we can have a male radio broadcaster who can call women “slutbags”, “hoes”. A DJ who can refer to women as “old stock” and request that we offer international music stars “new stock” of these supposed “hoes” when they visit South Africa," wrote Hlope "It cannot be that 20 years in we can have a female co-host listen to this clearly chauvinist babble and not reprimand their fellow host. More than that, to agree and encourage and laugh at his comments," she continued. The blogger has since lodged a complaint with the BCCSA (Broadcast Complaints Commission of South Africa). Drum spoke to Cullinan and she has confirmed the complaint but could not comment further on the matter. "The formal processes have begun and we have to submit a response to the complaint for the BCCSA on Thursday after we have listened to the audio of the show," she began. "We are meeting with Tumi and Warras tomorrow to discuss the matter and I am unfortunately not at liberty to discuss what the complaint is about exactly as to protect the right to privacy of the complainant and I cannot say whether or not we support the radio hosts," she continued. Cullinan said that the popular radio station will circulate a press release once the matter has been dealt with. Hlophe has made her feelings clear on what should happen to the radio hosts, "the best you [5FM] can do is not tolerate baseless comments that violate the very base human rights we have as women and fire both of them." 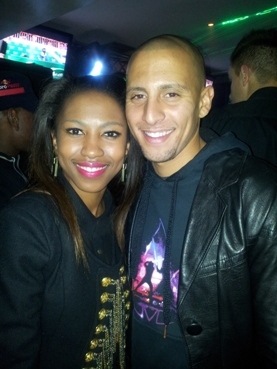 DJ Warras and Tumi Vorster made the move to 5FM late last year after stints in YFM.